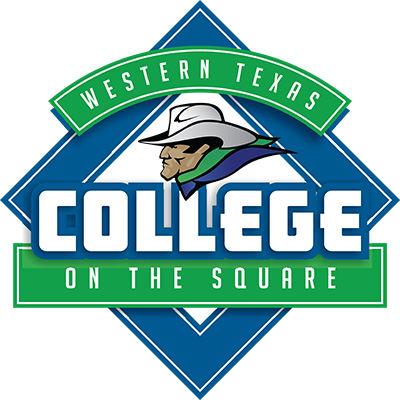 College on the Square is the commitment from Western Texas College to the Snyder community in the form of a permanent presence on the town square. It is an investment in the square and to the service of Scurry County and surrounding areas. We offer the opportunity for anyone to improve their skills through professional development and personal enrichment with in-person and online classes. Our distinctive facility serves a wide range of markets, from the most mature community members to the very young, in an effort to promote workforce improvements. 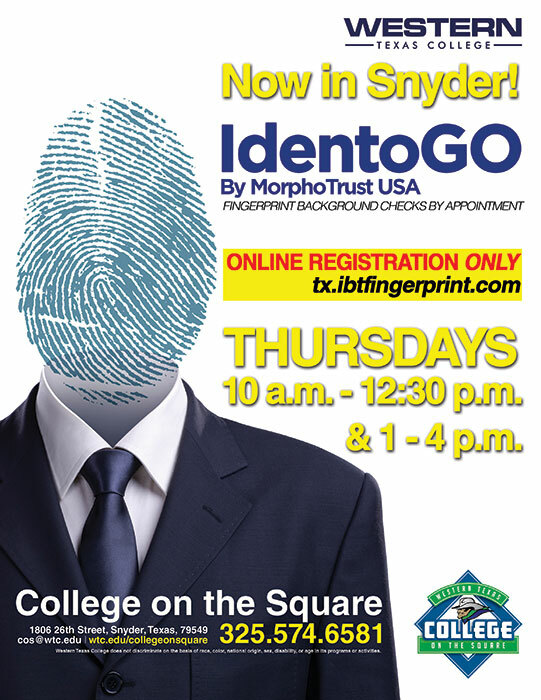 In addition, College on the Square partners with businesses in Snyder and surrounding areas to create customized training to fill workforce needs. From safety training to software training, we can find an instructor to train your workforce. Please call for information regarding custom training. 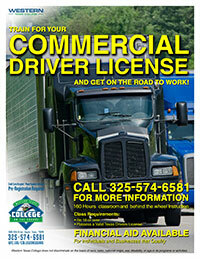 College on the Square now offers Driver Education to high school students between the ages of 15 and 17. Classes are offered three times per year. 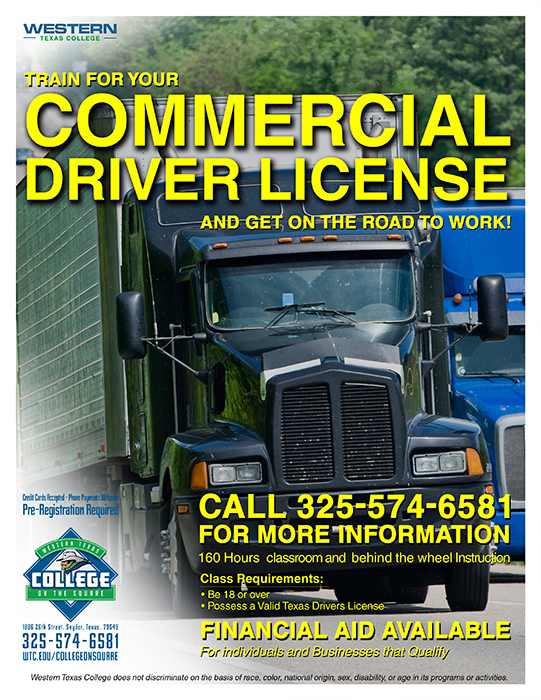 Call for information and class times. 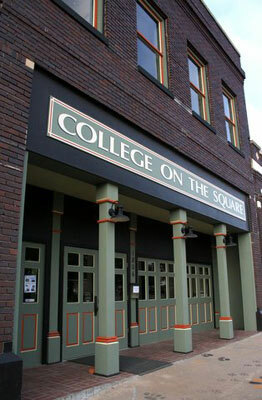 College on the Square also provides a wide variety of classes for personal or business growth. We offer education and training opportunities year-round, both in-person and online. Let us help you train your employees, update certifications, earn continuing education credit or customize training to fit your needs. Enroll in courses for personal growth and learn a new skill or do something you enjoy. Get trained. Get involved. Get better. 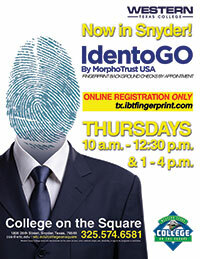 Take a look at what's going on right now at College on the Square. WTC2GO offers a wide range of highly interactive courses that can be taken entirely over the Internet. There are over 300 courses to choose from, covering every topic from accounting and finance to personal development and technology. Courses include expert instructors, lively class discussions with other students, and practical information that you can put to immediate use. Courses are convenient, affordable, and effective. Upon completion, students will receive continuing education credits as well as a certificate for hours completed. Each course runs for 6 weeks and consists of 12 lessons. The lessons are supplemented by interactive quizzes, assignments, tutorials, and online discussion areas available via the Web. Read your lessons and ask questions of your instructor at the times most convenient to you. All you need to get started is Internet access, an e-mail address, and Web browser. Additional requirements, if any, will be listed with the course description. Most courses are priced under $100.00 and can be paid online. Don't wait! Get started NOW! It's simple! Click on this WTC2GO, browse the catalog, select your course(s), and enroll. You have several start date options to choose from. Want To Teach A Class?-- Is there something you are qualified and/or certified to teach? Do people always love something you do and you think it would benefit individuals and our community? We want to know! Class Suggestion -- We want to know what you want and need! Think off the wall and out of the box. What is something you've always wanted to learn how to do? Is there some certain type of training that would help your employees and your company succeed and gain productivity? As an employee, is there a class you would like to take to help increase your chances for a substantial raise or promotion?